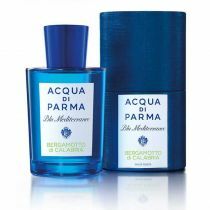 Acqua di Parma has created an eau de toilette spray evoking the sweet memories of a SIcily: Blu Mediterraneo Mandorlo di Sicilia. Sicily. A crossroads of art and culture, with almond as part of the local tastes and traditions. Acqua di Parma has created an eau de toilette spray with a caressingly soft scent evoking the sweet memories of a Sicilian way of life: Blu Mediterraneo Mandorlo di Sicilia. A sweet caress created with the fragrance of Mandorlo di Sicilia. Notes of star anise, bergamot and orange blend with green Mediterranean almond and ylang-ylang. 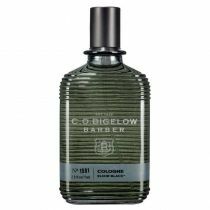 The base notes blend cedar wood, vanilla, and white musk.